Heroic might not be the way to go right now, but it probably will be soon enough, if there’s no cheap sweeper in the near future. After Supreme Verdict is gone, these strategies might be the thing to do. 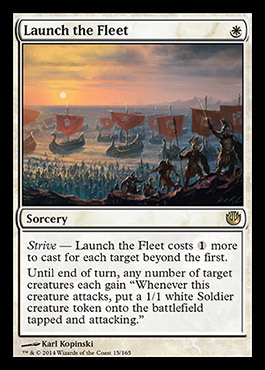 Then there’s white, which probably has the most potential to become an actual competitive deck. What Journey does do is give us more tools to trigger the heroic, and the Dawnbringer Charioteers. 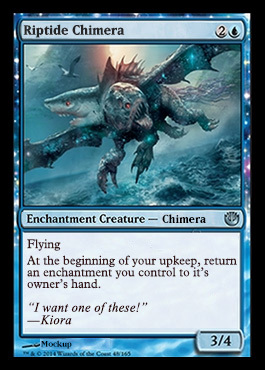 Its not probably that good a card in constructed, but I’m sure you can have fun with it. We’re not going to be using it, however. What we are going to be using are the Strive-cards. We are missing Brave the Elements, so this deck might lack what you need to actually finish the game. There’s also a problem with these kinds of decks. If about half your deck is one type of card and another is a different kind of card and you need a mix of these two types to make the deck work, you often just won’t draw what you need. However, the color with the most potential, is black. 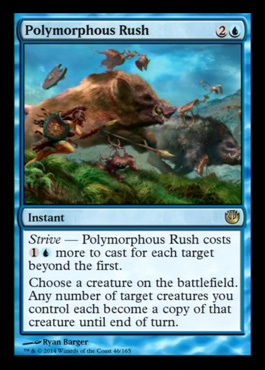 We’ve actually already seen versions of monoblack heroic being played in standard, so there’s a precedent. However, that was before Born of the Gods, so there’s more tools to work with right there. The actual good lists are, however, going to be either black-white or black-blue. I saw Frank Karsten testing a blue-black list on Channel Fireball recently. That list is pretty streamlined, so its probably going to be hard to do much better than that (and I’m not the person you ask to tune your deck, unlike Karsten, who is really good at that). However, black-white… Sure, you won’t be able to be as tricksy as the blue-black, but there’s plenty of strength in both colors to abuse. We have both the powerful effects of black and the facilitation from white. 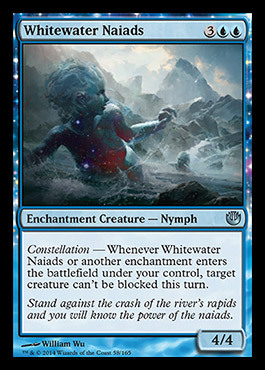 This entry was posted in Magic: The Gathering and tagged brews, constructed, deck, journey into nyx, standard by Aki Vainio. Bookmark the permalink.